It's been 12 years since South Africans first experienced load shedding. And since then, a lot has happened. Eskom, established in 1922 undertook a massive electrification programme after 1994. According to Africa Check, 50.9% of households had access to electricity at the dawn of democracy. The Community Survey in 2016, conducted by Statistics South Africa revealed that 92.7% of the population was able to connect to electricity. But the lack of crucial maintenance, the failed construction of new power stations and allegations of state capture have all caught up with the power utility. Here is South Africa's history of load shedding and the multiple promises throughout the years that it would finally be resolved. Load shedding hit the country for the first time, disrupting business, closing mining operations and affecting households. In an inquiry, the National Energy Regulator of South Africa (Nersa) found that measures to provide for the increased electrification programme and growth in the economy were inadequate and slow. In December 2007, former president Thabo Mbeki made his first formal apology saying, "We were wrong. Eskom was right", about the increased demand for electricity and government's failure to heed the call for a bigger investment into the power utility’s generation capacity. The power grid came under severe constraints during the 2013/2014 summer maintenance programme and Eskom implemented load shedding in March 2014, for the first time since 2008. Then Public Enterprises Minister Malusi Gigaba said the rotational power cuts were caused by the depletion of dry coal stockpiles at some plants and the tripping of three generating units at the Kendal power station in Mpumalanga. Ex-Eskom CEO Brian Dames apologised for the load shedding saying it was a painful decision and was done as a last resort to preserve the integrity of the grid. Eskom implemented 99 days of load shedding in 2015, causing a decrease in manufacturing and mining output, dragging down economic growth. Former Eskom CEO Brian Molefe promised an end to regular blackouts due to an improved planning system and an improved scheduled maintenance system. Eskom patted itself on the back for reducing unplanned outages saying there had been improvements of plant availability and a reduction in the usage of open cycle gas turbines which are powered by costly diesel supplies. In May 2016, former President Jacob Zuma promised Eskom staff at the power utility’s headquarters in Sunninghill that load shedding was a thing of the past following a presentation he said had been given to him by management. Eskom implemented Stage 1 load shedding amid an unlawful strike over wages. There were claims that members of the National Union of Mineworkers (NUM) and National Union of Metalworkers (Numsa) sabotaged power stations and coal supplies. The unions denied this. Eskom implemented Stage 2 load shedding citing an unexpectedly high number of plant outages. Minister of Public Enterprises Pravin Gordhan cancelled senior Eskom manager’s leave in a bid to keep the lights on over the festive season. He admitted major design flaws in the massive build programmes for Medupi and Kusile had hampered their ability to provide electricity. He warned of further power constraints once the holiday season was over in January. Eskom again implemented Stage 2 load shedding and suddenly went to Stage 4 citing a high number of plant breakdowns. The rotational blackouts coincided around a week before Finance Minister Tito Mboweni’s budget speech. He announced plans to give the debt-laden power utility a R69bn lifeline over the next three years and split the entity into three separate units, distribution, generation and transmission. After days of warning of a high risk of planned outages, Eskom implemented seven consecutive days of between Stage 2 and Stage 4 load shedding, going so far as to load shed during the night as well. Minister of Public Enterprises Pravin Gordhan apologised to the public and appealed for patience while a technical review team undertook an audit of affected power stations. He promised to have further information about the high number of plant failures within 10-14 days and report back. The Zondo Commission of Inquiry has recently heard allegations of how Eskom was affected by state capture. Gordhan has previously said on the matter, "When you capture an entity like this [Eskom], you don't do it for fun. You capture it because you can extract resources from it." On Saturday, Eskom announced that it would stop load shedding - for now. 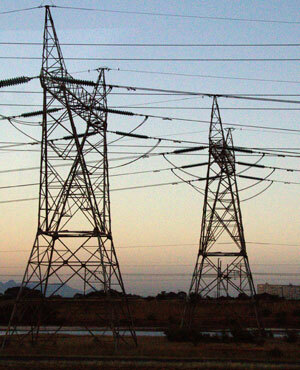 The power utility said that it would not implement rotational power cuts on Sunday - the first time in more than a week.